Fall is football season in America, and sometimes Highlander wants to eat a super satisfying snack, such as nachos, while watching the games on television. 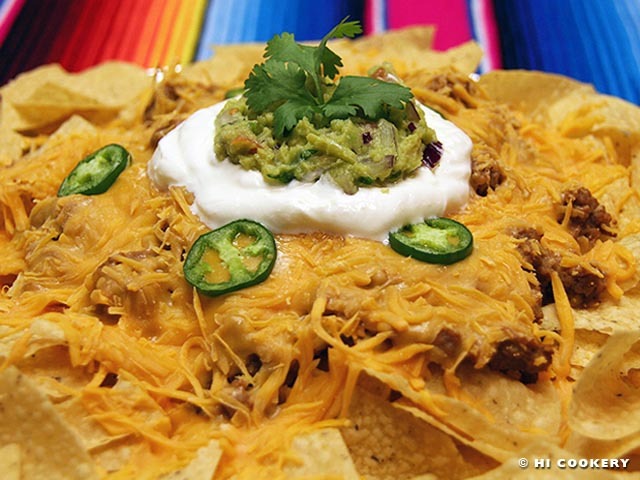 Tortilla chips topped with melted processed cheese is a “wimpy” chip-and-dip excuse for nachos! Make them “macho” by layering a substantial amount of beans, shredded cheddar, hot peppers, sour cream, guacamole and more! Depending on how fully-loaded they are, nachos can be a meal in itself. 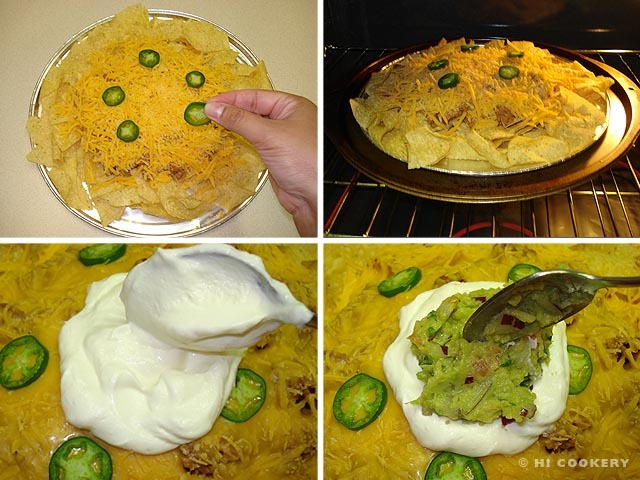 This Tex-Mex treat is great as a game day munchie and is an appropriate appetizer for National Nachos Day. On a flat baking sheet or oven-proof ceramic platter, scatter the chips evenly on the bottom. 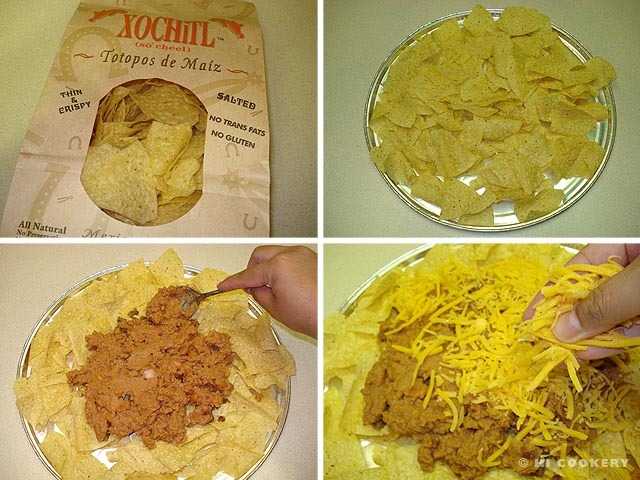 Spread a layer of the refried beans on top of the chips. Sprinkle the cheese over the beans and chips. Arrange a few jalapeño pepper slices on top of the cheese. Bake in a preheated oven at 350 degrees F for 10 minutes or until the cheese is melted. Remove from the oven and garnish with sour cream, guacamole and cilantro. Serve immediately. The above recipe is a vegetarian version. For meaty nachos, add chili con carne or spicy cooked ground beef, shredded chicken or pulled pork on top of the refried beans. Additional garnishes may include diced tomatoes, shredded lettuce, sliced black olives, chopped onions and salsa. See our guacamole blog recipe post for National Guacamole Day on November 14.
International Day of the Nacho is observed on October 21.